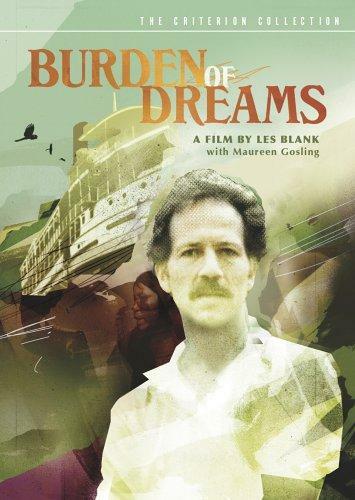 Essential plot rundown: A documentary crew follows Werner Herzog as he films Fitzcarraldo. I wasn't planning on watching this movie next since I haven't even seen Fitzcarraldo. Actually, I'm not even sure how this got to the top of my queue. But, Netflix was down, so I couldn't change it. This documentary can be described using two words: interesting and boring. 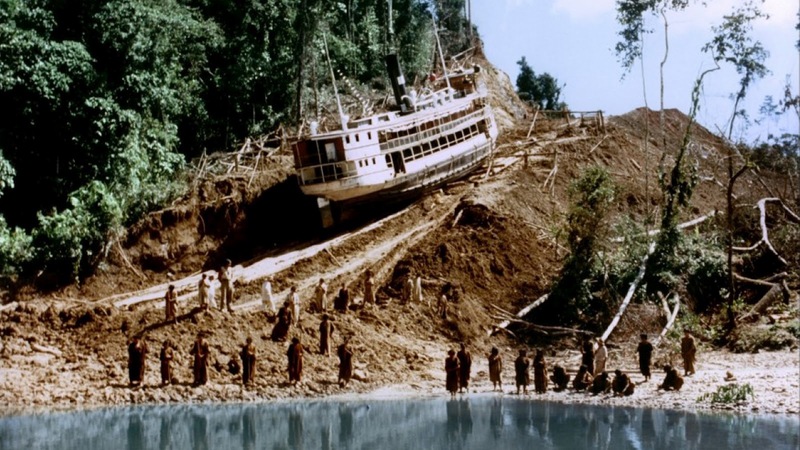 It's always interesting to see what happens behind the scenes of making a movie, especially one as ambitious as Fitzcarraldo. It makes you truly appreciate movies knowing what went into making them. However, it also makes you wonder if a movie is worth all of the sacrifice made. Herzog can be seen as a passionate person, following his dreams; or he can be seen as borderline crazy, doing pretty much anything to get his movie done. I think he summed himself up pretty good when he said: "Without dreams we would be cows in a field, and I don't want to live like that. I live my life or I end my life with this project." But, then again, it can be really boring. After only 20 minutes, I found myself looking at the time. But, the boringness is a good thing, because the documentary really captures what it was like during production. They faced delay after delay. There was a lot of downtime as the cast and crew waited for one thing or another. And Burden of Dreams makes you wait with them. So, it is a good thing as it evokes what it was like working on the film; but it is a bad thing if you have a short attention span. However, at the end of the film, it says that there is a shorter version available somewhere. Overall, it is something you should watch if you're interested in how films are made. Though, I'll probably only watch it once. And, obviously, it contains spoilers as to how the movie ends. Now, after seeing all the hard work and sacrifice, I'm excited to see how it translated to the finished product.